A book about humanity in times of war. In an African country, while a civil war rages, Kibwe and Zuberi meet. Both are twelve years old, both are orphans; Kibwe’s parents killed in the name of war and Zuberi’s in the name of trade. Kibwe is a boy and Zuberi a gorilla, a young silverback. They are on the run: Kibwe, from the horrors he has committed as a child soldier, and Zuberi, from the violent hand of man. The former is desperate to reclaim his humanity; the latter, determined to have a family once more. Can they help one another get back what each has lost? 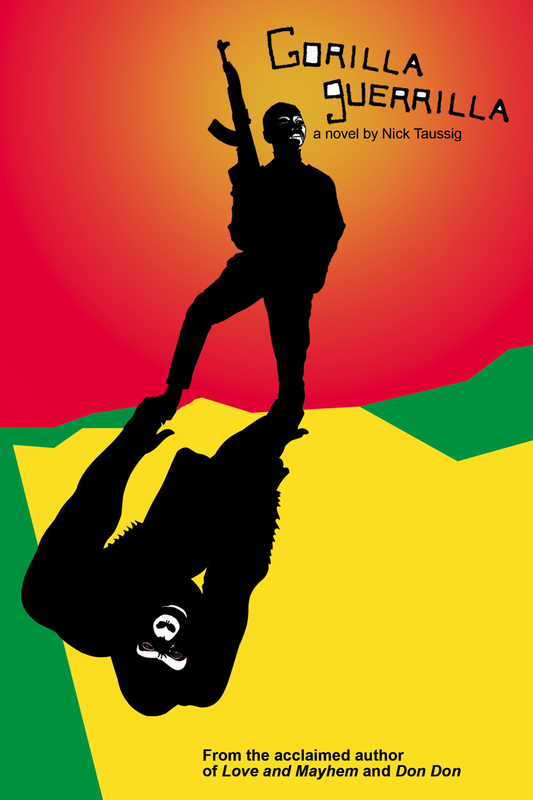 In this, his third novel, Nick Taussig constructs two parallel yet contrasting storylines – one with a young boy soldier as narrator and the other a gorilla, a young silverback – in order to explore the best and worst of human nature in the light of our ape inheritance. These two strands gradually come together to produce a gripping, moving and provocative book. His most ambitious novel to date, this work has a timeless and apocalyptic feel. Mtaala Foundation creates and supports education communities for vulnerable children and at-risk youth, including those affected by poverty, war, and HIV/AIDS. Empowering youth through learning and giving back to their community is a central tenet of its work. The Gorilla Organisation, formerly The Dian Fossey Gorilla Fund, is dedicated to saving and protecting endangered gorillas, its work integrating traditional conservation and research with economic development and education. Visit Gorilla Guerrilla’s dedicated website.